Keynote Speaker Authority and Authenticity. Can they only speak? The podcast blog supplement for iHeartRadio’s Wait What Really OK Podcast Episode 91. That speaker takes the stage and they pump you up, entertain, excite and make you think. Those are all wonderful elements, but after they leave the stage and begin to pitch services or products, do they have the knowledge and authority that goes beyond the stage? It confuses some. There is an assumption that they are on that stage, whether as a keynote, a guest speaker or a panelist, so they must know what they are talking about right? Not always. Keynote Speaker Authority and Authenticity. 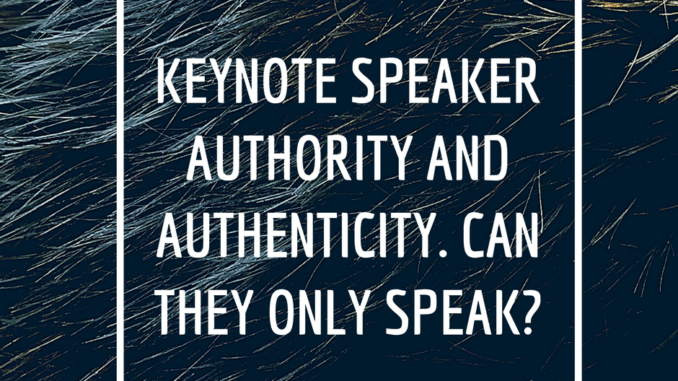 Being a great speaker does not make someone a great consultant, an authority or for that matter, even truly authentic. They might just be a great speaker and in many cases, this shows to be more true, more often. And just because they have taken the stage doesn’t mean they were paid to be up there. There are a lot of conferences and events where they will bring in the core speakers and often times pay for those speakers by charging a great deal for other spots to be filled. These events put a focus on the major speakers, which will have the serious draw but will charge and accept speakers with less authority that can pay for their spots. So you might end up getting excited by someone that can deliver a great talk, but may have nothing else to back it up with. Worse yet, these speakers exploit the stage time to sell services where they do not have the authority they claim. The hype problem shows its ugly head, once again. To avoid this problem, enjoy the keynote speakers and guest speakers you hear, but dig in deeper to see if they really have the ability to help you. Just because someone can excite you from the stage, it does not mean they can do the work off stage. Look to and look for authority and authenticity off the stage. Vet them. 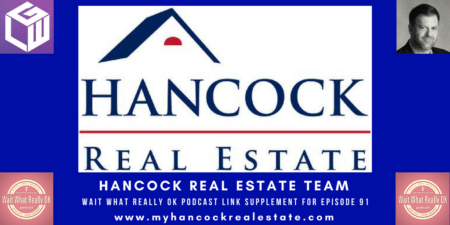 Make sure they have as great a track record with individual clients as they do with massive crowds. This extra time you take to make sure you are connecting, working and paying the right people can help you avoid the pitfalls that many have experienced after jumping to hire someone that is all inspiration and presentation but lacking in the information and the ability to do the work needed. 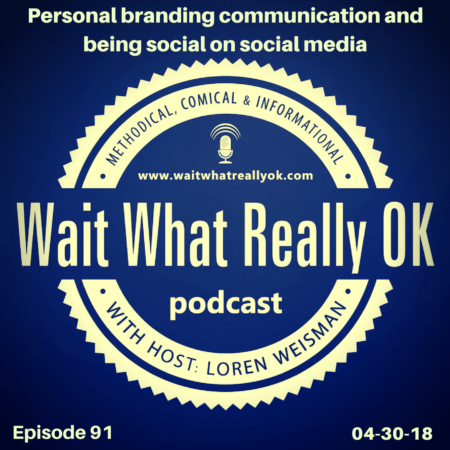 The podcast video supplement for Wait What Really OK Podcast episode 91 is titled: How can you follow 71 thousand people on Twitter?